Hangar’s JobSight platform sees rapid adoption by leaders in the Construction industry looking for simple, scalable ‘request and receive’ precision-captured 4D Visual InSight. JobSight offers businesses of all sizes a simple, scalable, cost-effective way to deploy a new visual insight program that doesn’t actually require the adoption of new software, hardware or staff. Hangar Technology, Inc., the world’s first technology company to bring scalable 4D visual insights to industry, today disclosed that over the last year, 15 of the ENR Top 100 Construction enterprises have added JobSight to their operations. JobSight’s momentum builds on top of 2017 success, when Hangar added 16 of the ENR 400 as new customers. Of the 2017 customers, more than half have tripled projects using JobSight, and the expansion of the 2018 customers is even greater. 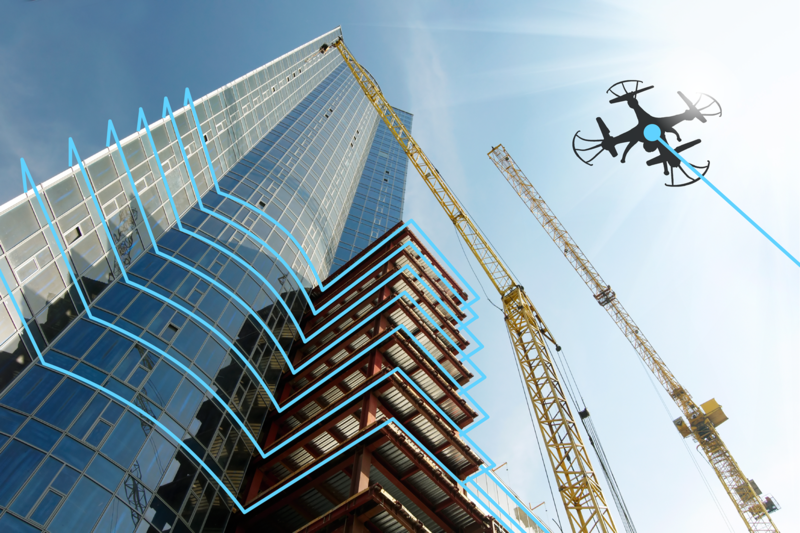 This year the Engineering & Construction vertical is becoming less enamored with how to capture data and the logistics of drone operations, and far more interested in the usefulness of the data. Hangar attributes its success to JobSight’s simple, scalable ‘request and receive’ precision-captured 4D Visual InSight. Growth in Hangar’s Construction consumer base is due to their ability to capture project and asset data consistently with precision - at a meaningful volume, velocity, or veracity. As more data is captured, and as new insights are derived, the industry’s benefits are becoming easier to measure and quantify. JobSight customers are seeing an ROI in key areas like safety, quality, productivity, bill verification, dispute avoidance, claims resolution - among others. By eliminating the traditional cost and complexity of building an internal drone imagery capture program, and all the logistical and data-related challenges, users get the right insight faster and more reliably. JobSight enables industry-first visibility across the entire portfolio of project locations, providing access to the largest variety of precision-captured data types available in the industry today, and giving the entire organization - onsite and offsite - the ability to make data-driven decisions in real-time. Hangar’s growing active client roster includes major ENR players including Turner Construction, AECOM, Balfour Beatty, and more. Request & Receive: No logistics of mission planning, certified operators, airspace approvals, data processing and analysis or storage. JobSight automated the end-to-end process down to request-and-receive simplicity. Feature-Ready: JobSight includes the features you’ve come to expect, like snapshots and sharing, measurement tools, 3D models, software plug-ins and more. Consistent Captures: Hangar's industry-leading autonomous flight software ensures flawless execution to provide repeatable complex missions and faster surveys, with less uncertainty. Complete Portfolio Visibility: JobSight captures and stores an intuitive historical timeline of your project, from the first date of capture until project completion. Largest Data Variety: View 360° panoramic photos, 2D maps, 3D point clouds, videos, thermographics, elevations and high-resolution image series of all your projects and assets. For more information, visit http://www.hangar.com/jobsight.